WASHINGTON —The U.S. Air Force’s light-attack experiment is set to get a lot bigger, with the service considering adding drones, helicopters and more sophisticated aircraft to the mix in the future, the service’s top general told Defense News. While the Air Force is still finalizing its strategy on light attack, Goldfein’s comments hint that a lack of interest by partner nations may have shaped the decision not to press ahead with a program of record late last year. The Air Force was set to issue a request for proposals in December for a light-attack platform. 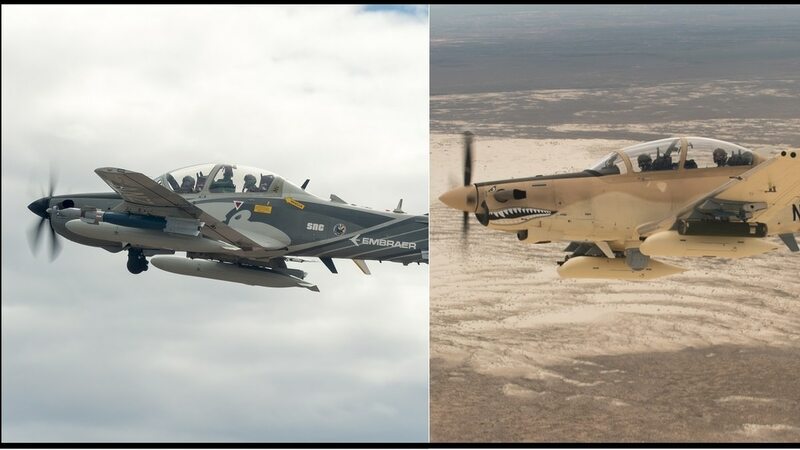 The competition would been open to only the Embraer-Sierra Nevada Corp. A-29 Super Tucano and the Textron AT-6 Wolverine, two fixed-wing turboprops that the service said were best suited to meet the needs of the program. But now, other aircraft could be joining them. Goldfein said the Air Force chose not to release that RFP for two reasons: ongoing budget uncertainty and the desire to expand the parameters of what the service is seeking. Goldfein added that light attack was not something that was central to what the Air Force needed, saying that it would only be funded if the money is available in upcoming budgets. Increasing interoperability has been a longtime goal of the light-attack experiments, but it appears to have taken on new importance as the experiment potentially moves forward. Goldfein and other Air Force officials have spoken at length about the potential benefit of a common, off-the-shelf attack aircraft that could be purchased by countries that can’t afford the F-16, but still want to deepen ties with the U.S Air Force. Over the course of the effort, foreign delegations have been invited to observe flight demonstrations of the A-29, AT-6 and other previous contenders at Holloman Air Force Base, New Mexico. However, not all nations could want a turboprop aircraft like the A-29 or AT-6. “Some countries, it actually would be better to have an unmanned option. Some countries, [it] would be better to have a rotary-wing option," Goldfein said. “Some countries would do fixed wing, but [only with a] turbojet [engine]" instead of a turboprop.